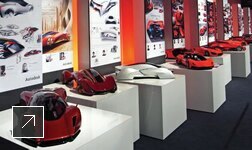 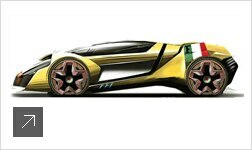 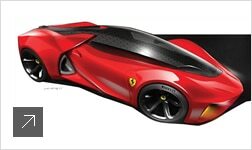 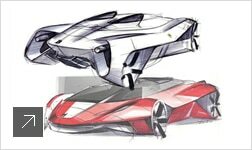 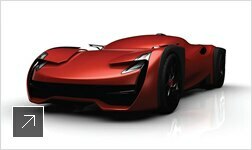 Drawing from 50 of the world’s leading design schools, Ferrari challenged students to create a car extreme in its architecture and performance. 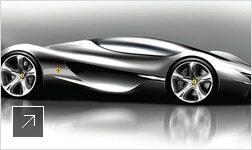 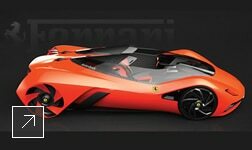 In short, design the Ferrari of the future. 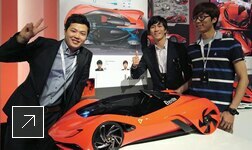 The team from Hongik University in Seoul, South Korea, won the competition with its radical Eternita design. 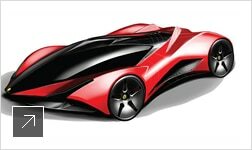 Designing the car was a collaborative effort among team members with each contributing to the design as it ranged from sketches to renderings to the final model. 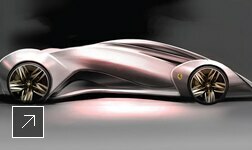 The finalists created both physical clay models and 3D digital models in Alias industrial design software. 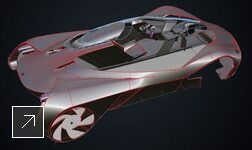 The team used Alias to further refine the body design, helping to create the optimal aesthetic shape and surface quality, as well as continuous curvature. 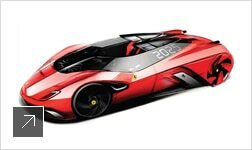 The digital model was imported into Showcase 3D visualization software to create the final imagery and video of the winning design.